Cheick Diallo is a Malian-born basketball player who plays the position of a power forward/center for the New Orleans Pelicans of the NBA. He was selected by the Los Angeles Clippers during the NBA draft of 2016. Diallo completed his collegiate career with the Kansas Jayhawks of the University of Kansas. Learn more about Cheick Diallo below. Cheick Diallo was born in Kayes, Mali on September 13, 1996, to Malian parents Mamadou Diallo and his wife Ramata Diallo. The youngster migrated to the United States at the age of sixteen to pursue his basketball career. It wasn’t an easy quest for Diallo who wasn’t so fluent in the English language. He faced lots of challenges before seeing a light at the end of the tunnel. In the United States, Diallo enrolled at Our Savior New American School situated in Centereach, New York. There he played high school basketball with the school team. During his high school career, it took a while for Diallo to fit into the school’s pattern of play. Subsequently, he became a more formidable and versatile player for the team. He was teammates with Chris Obekpa during high school. Prior to his college career, Diallo participated in the NBPA Top 100 camp for which he became the MVP in 2013. He went on to enroll at the University of Kansas where he played for the Jayhawks. Joining the Jayhawks, Diallo had issues of eligibility and was later cleared by NCAA. He made his first appearance for the Jayhawks against the Loyola Greyhounds in December 2015. The star became an effective player in the team, thus averaging 7.5 minutes, 2.5 rebounds, and 3.0 points per game. At the end of his freshman season, Diallo declared for the 2016 NBA Drat while forgoing the remaining years of his college eligibility. In addition, he was named the MVP of McDonald’s All-American Boys Game in 2015. Cheick Diallo was invited for the NBA draft combine drills in May 2016. He had 8 foot 11.5 inches standing reach as well as 7 foot 4.5 inches wingspan. During the draft, he was picked by the Los Angeles Clippers as the 33rd player to be selected overall that year. After the draft, he was traded immediately to the New Orleans Pelicans. He joined the Pelicans for the NBA Summer League competitions and after an impressive performance, Diallo signed his rookie contract with the Pelicans. Diallo made his first professional appearance in the 2016/17 regular season on October 29, 2016. He recorded one block and one rebound while playing six minutes off the bench in their loss to the San Antonio Spurs. Diallo later saw action in two more games for the next 23 games of the regular season. He scored a total of 19 points in their loss to the Los Angeles Clippers in December 2016. He also recorded same against the Los Angeles Lakers in April 2017. 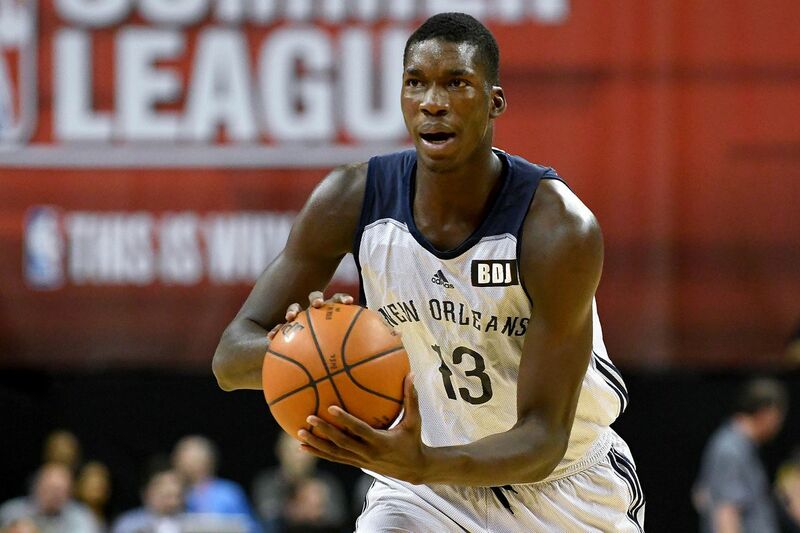 Throughout his rookie season, Cheick Diallo was assigned to multiple teams including Long Island Nets, Greensboro Swarm, and Austin Spurs of the NBA G- League in a bid to familiarize himself with the game. In 2018, he recorded significant improvement, thus averaging 4.1 rebounds and 4.9 points per game. He participated in the 2018 playoff and recorded an average of 1.4 points and 1.3 rebounds per game in 7 gameplay. The Malian basketball star has come a long way just to fulfill his dreams of playing basketball at the professional level. His journey started right from his home country Mali several years ago and today he has made it to the NBA. He is now competing against the best stars in the game; all thanks to the unparallel support from his family. According to him, his family stood behind him all the way and they are very proud of who he has become. Meanwhile, he is not the only child of his parents; he has five brothers and he is the youngest of them all. His family currently resides in Mali. Additionally, there have been speculations flying around that the Malian star has another brother in the NBA. However, the rumor surfaced following the draft of Hamidou Diallo by the Oklahoma City Thunder in the 2018 NBA draft. Although the two players bear the same last name; apparently they are not brothers. Cheick is the only one in his family who is into basketball; Hamidou, on the other hand, was born and raised in the United States. He may have Malian roots but they are not related in any way. Cheick Diallo is a very interesting player with an incredible height and great balling skills. He stands at a height of 6 feet 9 inches (2.06 m) and weighs 220 pounds (100 kg). Interestingly, he shares the same height as other NBA top power forward players including Carlos Boozer and Antawn Jamison. He has black hair and brown eyes. Cheick’s chest-waist-biceps measurements, as well as, his shoe/feet size are currently not available.